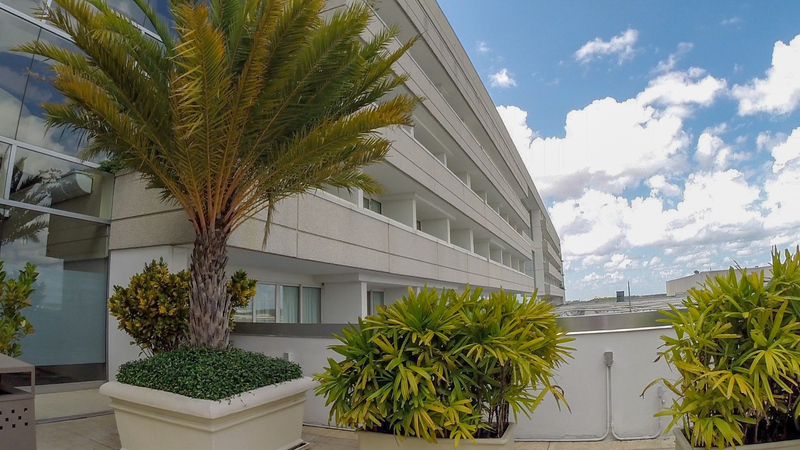 Hyatt Regency is the hotel that is based at the centre of Orlando International Airport. 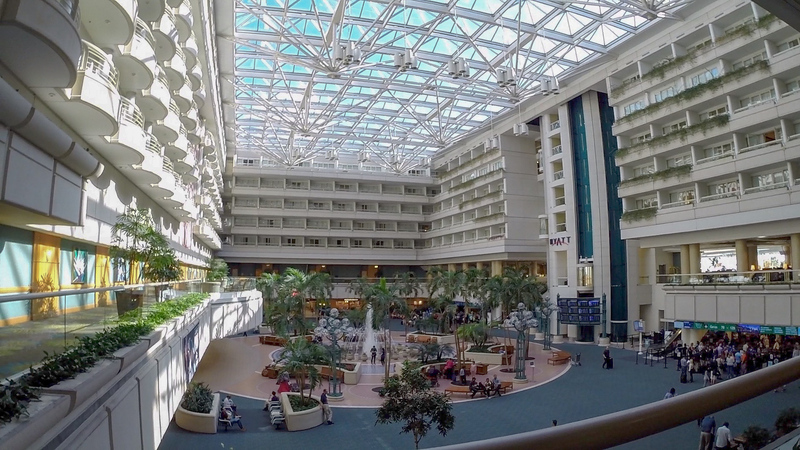 To us and so many it’s the point of no return… you’ve arrived in Orlando! Unless of course you’re leaving but if you are why not consider on your last day booking a day room at the hotel? It keeps that Florida feeling going just a little longer and you’re on the doorstep of your plane home! We did just that on one of our previous trips and it was such a fab end to the holiday! 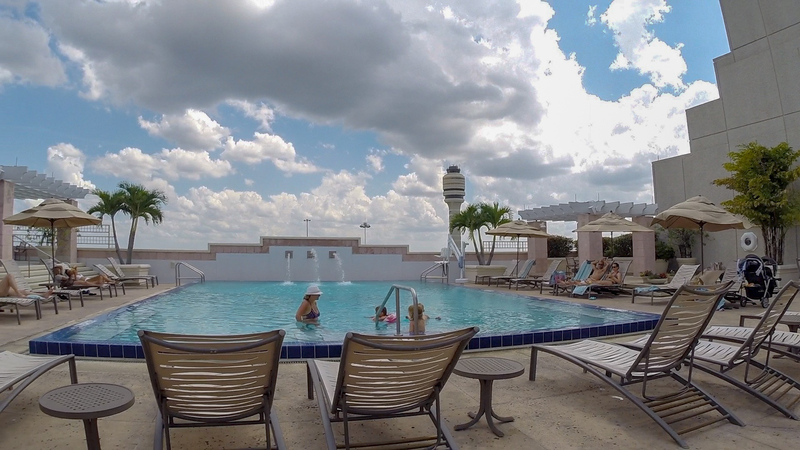 Keep reading for our post cruise day room review of Hyatt Regency Orlando International Airport. We docked from our last Disney Cruise at Port Canaveral around 7am in the morning. We knew it wasn’t ideal with small children not really having a base or anywhere to go until our flight at 6:30 that evening so we decided to book a day room at the Hyatt. 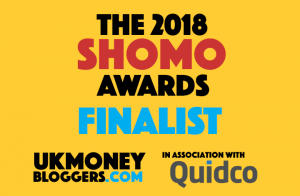 You must give them a call to book the day room – there is no option on their website at the time of typing to book it online unfortunately and you’ll be looking around the $90-100 mark for the day. It’s not cheap but one affordable luxury especially with children. The room was a standard room that overlooked the centre of the airport. There were rooms that overlooked the runway but I can’t see these being the ones that they use as a day room. Our room just had a king bed if I remember rightly which again was fine for us. A simple but clean, modern room with a large bathroom (why I took no pictures I’ll never know but just trust me on this one!). I felt a little mean just sitting on the bed as we were only there for a couple of hours! I didn’t want them to think we had slept in it and had to remake the bed etc so we just people watched from the balcony that overlooked the airport atrium. I don’t feel we can really comment on the noise levels unfortunately as we didn’t even attempt to sleep to be fair but once the doors were shut on the balcony you could just hear sound. Nothing really loud; it was just noise. You are in the middle of a ridiculously busy airport so it’s not going to be silent! I would be able to sleep no problem but if you are a light sleeper ask which they think would be quieter. Again not sure what it would be like at the other side of the hotel that overlooked the runways as it was not only the aircraft you could here but also the wind! They may all be the same and during the day is bound to be busier than on a night so it might be absolutely fine! One thing I wish we had prepared for was the pool area! It overlooked the runways and looked amazing! There was a hot tub as well and because chances are everyone will be paying a flying visit at all different times of the day it wasn’t busy at all. There are two restaurants within the hotel however there are TONS more eateries within easy access within the airport food court itself. The only disappointing thing we found with the hotel was the parking. There was NOT enough parking. I’m not sure if it was just hotel guests that could park in there or it was a short stay car park but we felt we were driving around FOREVER! We decided to head to the Florida Mall too for lunch and encountered a few issues leaving/returning. Something to do with ticket we had been given (or not given!) by reception. Just make sure you let them know on check in you may be leaving (even if you don’t) and you won’t end up stuck at the gates to exit the car park trying to explain to an attendant that you have paid and are staying in the hotel (but have nothing to show for it!). One thing we all loved about this hotel was the views. It was a little depressing seeing the arrival of the Disney Magical Express coming to pick guests up who have just arrived but wherever you looked (apart from down!) was jaw dropping. This, I think(! ), is the same location the Disney Cruise Line bus would pick up too. 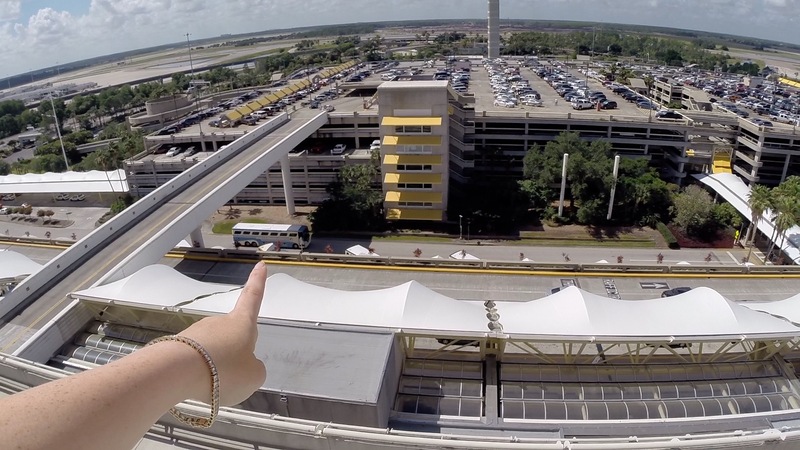 This picture gives you a good idea of location of the hotel too – you are literally above everything you walk through in the airport. The two ‘train tracks’ (tram lines!) to the left and right are the monorail style trains that take you to and from your aircraft. You can see what was probably our Virgin plane to the right of the picture too. 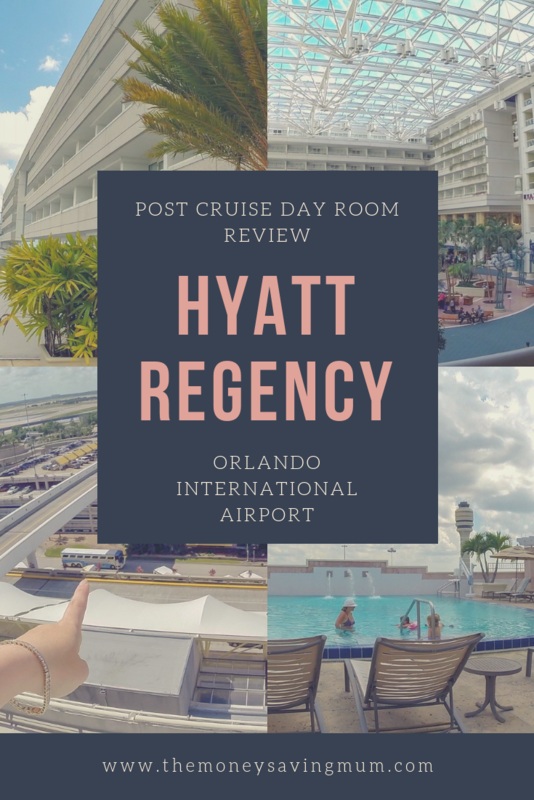 We LOVED the Hyatt Regency room – it wasn’t cheap as I mentioned but something that made travelling with children soooo much easier and there’s no need to use shuttles to and from other hotels with bags and kids in tow because you are already just steps away from your plane! 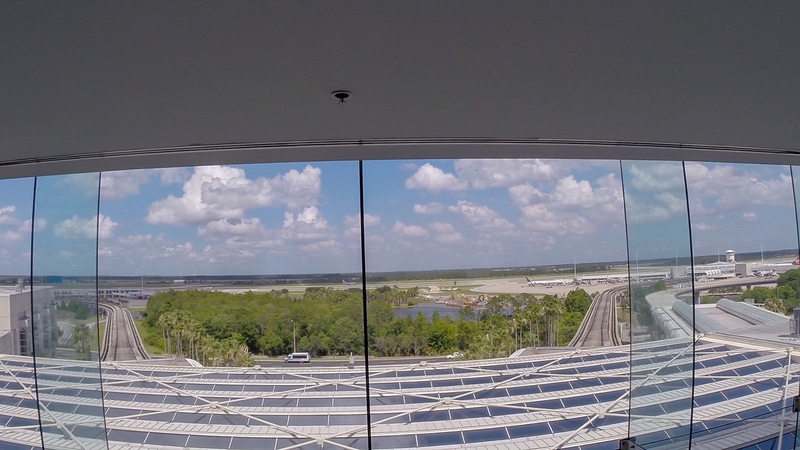 So if you are arriving late or leaving late seriously consider the Hyatt Regency Orlando International Airport … you won’t regret it! 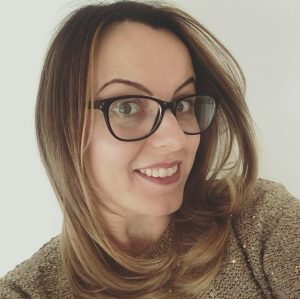 Previous Post How I’m making self care a priority whilst running my own business.